Home Beaumont and Beasley The Beast of Talesend–New Cover Reveal! Well, you've already seen it on the link to this post, the featured image above, and probably on Twitter and/or Amazon as well, so the surprise is ruined. Drat. Oh well, here's a larger version in case you still care. And you really should, because this cover is a massive improvement, if I do say so myself. More eye-catching fonts. More color. More shiny magic cloudy stuff. It's almost too much awesomeness. Makes you want to go out and buy the book right now, doesn't it? Well, you can. Unless you already have, which means you're out of luck. In that case, however, there's something you can do–sign up for this giveaway! 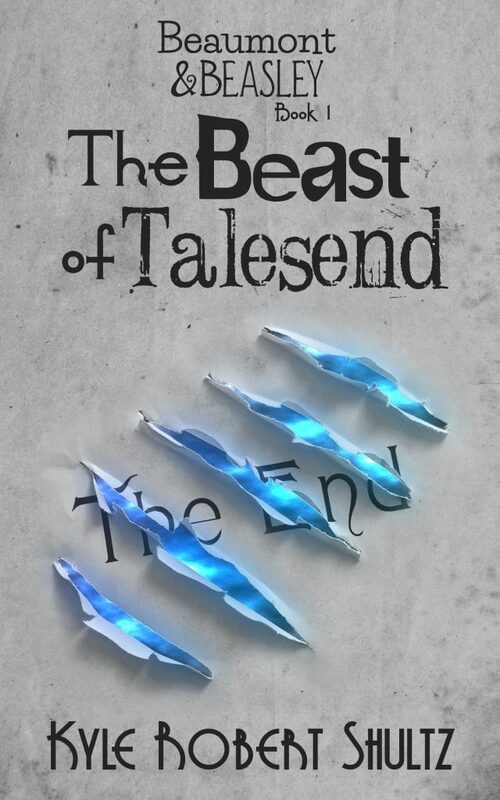 Here's your chance to win two signed copies of The Beast of Talesend–with the awesome new cover–and a custom 80-page notebook whose design is based on the awesome new cover. How exciting is that? That wasn't a rhetorical question. I want to know exactly how exciting it is on a scale of 1-10, to at least 3 decimal points. For science. I'm hoping to post more news on future Beaumont and Beasley stuff very soon. In the meantime, get cracking on that giveaway, or just sit here and gaze at the new cover some more. Take all the time you need.